Midfield Press » Could a New Pro Team Help the Growth of Futsal in the Inner-City? 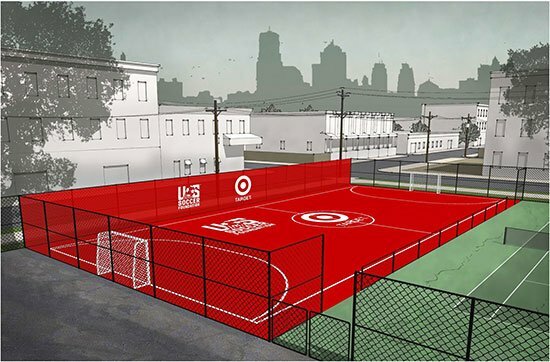 On August 2, 2017, The US Soccer Foundation, the non-profit youth development wing of US Soccer, announced a partnership with Target stores to build 100 futsal courts around the United States. The foundation has already placed many futsal courts around the country in an effort to bring the game to under-served, financially-depressed communities. Bringing the game to under-served, financially-depressed communities is a fantastic endeavor, and perhaps nothing would be better for the efforts to #growthegame in this country. Remember, elite players throughout the world have come from some of the most financially-depressed communities on the planet. The streets and barrios continue to produce the best of the best, and will do so forever. Neymar, Dani Alves, Luis Suarez, and Alexis Sanchez grew up in some of South America’s poorest neighborhoods. Zlatan, Ribery, and Ronaldo grew up beneath the poverty line in Europe. And yet it seems that here, in the world’s most prosperous nation, a player must come from a prosperous family in order to rise through the ranks. Our youth development system hinges around a pay-to-play system that is simply unreachable for those who are struggling to afford milk and bread. The shoes alone price families out of the game. In Memphis, my metropolitan area of choice, we have more than enough poverty. It is an incredibly sad state of affairs, and citizens who can help often struggle to find the best way to help. The end result is that those who are in poverty think the government should do more, despite the fact that the government is, too often, the primary source of income. I do not pretend to be a political genius, so suffice it to say that the whole situation is depressing beyond belief. Many poverty-stricken neighborhoods in Memphis have basketball courts. We are, after all, a basketball city. But the same is true around the country. Basketball courts can be found in similar neighborhoods from coast to coast. I have visited several such neighborhoods in Memphis. These neighborhoods are literally the last place on planet Earth I would expect to find soccer goals. But just because it is a foreign idea to put soccer goals in economically-depressed Memphis neighborhoods does not make it a bad idea to put soccer goals in economically-depressed Memphis neighborhoods. In fact, futsal could be a fantastic idea. It’s simple, inexpensive, and fun. Futsal is extremely popular in South America and Europe, and it is no coincidence that those two continents consistently produce the best players in the world. The rules of the game encourage technical ability. For instance, a player has only four seconds to pass or shoot, meaning everything is one or two touch. Keepers cannot punt the ball at all and cannot throw the ball past the mid-court line. This encourages play from the back. Optimizing small spaces and taking players on 1 v 1 are also skills developed in futsal, and the fact that there are fewer players should provide each player the opportunity to be on the ball more often. 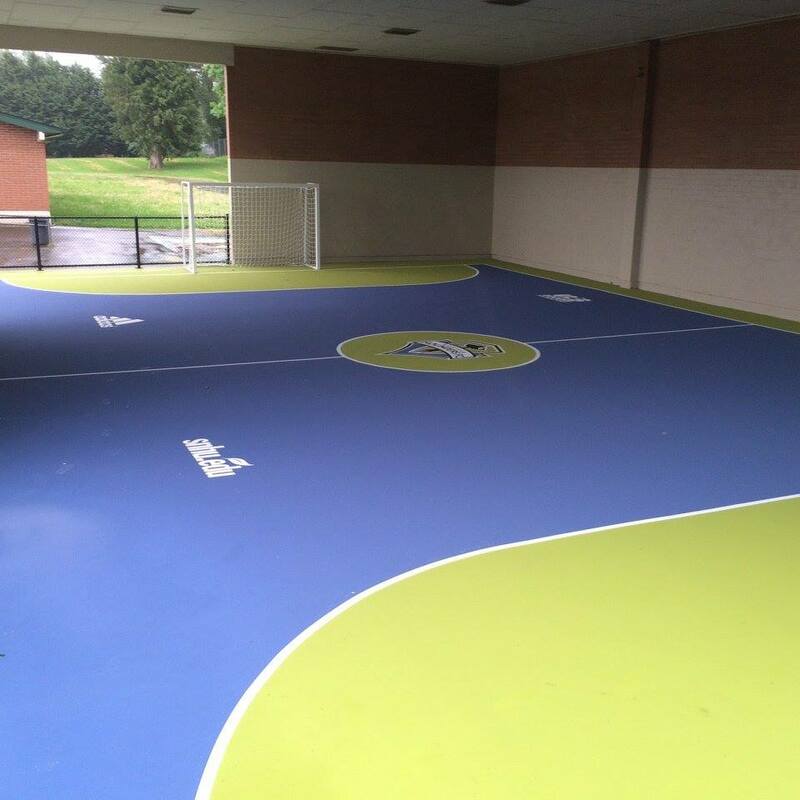 The Target Corporation is the most recent giver of the gift of futsal, and one can only hope the trend continues. If it does, the USA will almost certainly produce players with greater technical skill than we have seen in the past. Fans of the USMNT know the truth: without raising the skill-level, we have no shot at ever winning the World Cup. More European clubs are now investing in the women’s game, making the success of the USWNT more difficult in the future. We must produce highly-skilled players. With all the new NISA markets, plus the rumored NASL, USL, and USLD3 teams set to come in for 2018 or 19, our country is about to be bombarded with a flood a new professional soccer teams. I would love to see cities with new professional teams capitalize on this futsal trend. But how does a city even go about the process? For starters, there needs to be a leader. There have been numerous reports of a USL team in Memphis, starting in 2019. USL Memphis and other such newbies could establish themselves as productive members of the community from the jump by helping fund inner-city futsal. 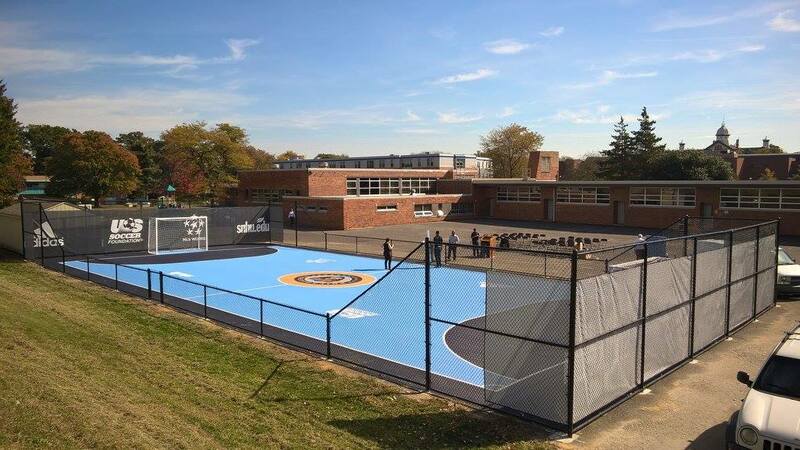 They could work with Target, the US Soccer Foundation, community leaders, and sponsors to build courts in neighborhoods that badly need something positive to happen. There could be a great amount of instrumental value to a project like this, but let’s take a look at the intrinsic value. Remember the general thesis — futsal is simple, inexpensive, and fun. 1. Futsal is simple. Once the court is built, the hardest part is over. There is a goal at either end of the court. Kids do not need to know the four second rule or keeper rules in order to start playing. Anyone could figure out that the goal is the goal. 2. Futsal is inexpensive. There are no special shoes needed for futsal, and most people who play in pick up games do not wear shin guards. Kids can wear the shoes they wear to school. There are no fancy uniforms — it’s pick-up ball. The main expense would be futsal balls. This is another area where the club could be heroic. They could get a sponsor to slap a logo on some balls and pass them out to all the kids who show up for Saturday morning sessions (more on Saturday morning sessions momentarily). 3. Futsal is fun. If you have never played it, think about a game you spent hours playing as a kid. Why did you play it for hours? Chances are good that you did so because it was fun. For me, it was wiffle ball. It was simple and inexpensive, but, most of all, it was fun. We even developed a way to play with only two people. We spent hours upon hours upon hours outside. If the sun was up, we were playing. Futsal could be to the ’20s what wiffle ball was to the ’80s. If kids have a fun place to play, they will play. If they do not have a fun place to play, they will get involved in God knows what. Why not give them something fun to do? The game is beautiful and amazing. Why should inner city kids be excluded from playing it? To quote Dr. Suess, “These things are fun, and fun is good.” Give them the gift of fun. So how would this work? How would it be monitored or chaperoned? Who’s to say the older guys don’t move in and push the kids out? Who’s to say a bully doesn’t come and take the ball, or arrange a game of two-hand touch on the court instead of futsal? Well, the club could post a legal set of rules for the governance of the court, but full-time monitoring would be impossible. Instead, the idea would be to create a culture where futsal is the desired choice. This will require some creativity on the club’s part, but one idea that could work would be the installation of Saturday morning training sessions and games. These could be limited to students between the ages of x and x, free to anyone, and designed for both instruction and fun. It only makes sense that the pro players themselves would run these Saturday morning sessions, and there would be several potential benefits of this system. For starters, the kids need to be taught how to play the game by people who are perceived as experts. If a Memphis kid is trying to learn basketball, nothing would be more exciting than Mike Conley and Marc Gasol showing up at the court. But it would not even have to be the stars. A player in team gear is an expert in the eyes of a child, no matter his name, race, or age. Once they are trained, the hope is that they would show up in their free time to play pick-up games, and a culture develops around the court. But there could be instrumental benefits for the club as well. Publicity never hurts, especially in a crowded sports market. Stories like this are bound to show up in the media, prompting the inevitable, “I didn’t even know we had a soccer team,” from Joe Viewer. The club logo and website could be plastered all over the neighborhood and given out in the schools in advertisements for the training sessions. A project such as this would also give the club an “in” with civic organizations dedicated to doing great things. I’m not suggesting the club should act only to be seen. The club should act out of a passion for the game and the desire to see young Americans attain greater skill. The club should act out of a desire to give the gift of soccer to those who cannot afford it. The club should act because it is the right thing to do. But getting one’s name out there never hurts, especially if it is for the right reasons. Teams show up on the news for negative stuff all the time. It would be refreshing to see local professional soccer teams on the news for positive stuff. At the end of the day, soccer is still the world’s most popular sport. That will likely still be the case ten, twenty, and a hundred years from now. But its popularity is tied directly to its accessibility, and it is accessible to inner-city kids in almost every nation in the world. Soccer leaders in the United States must strive to make the game as accessible as possible to the kids in the inner-city. In order for that to happen, each city must do its part. The stabilization of the second division and the creation of the third division will soon result in an explosion of new professional teams in our country. These teams need to invest in inner-city futsal from the start, and do the right thing for local kids in the game we all love. Photo credits to the United States Soccer Foundation Facebook page.